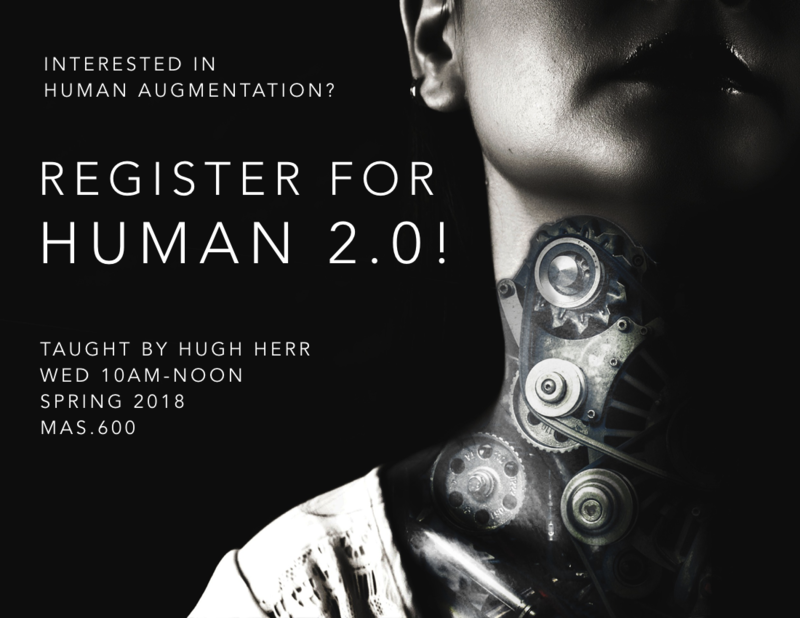 Human 2.0 will cover the principles underlying current and future technologies for cognitive, emotional, social, and physical augmentation. Topics include robotic exoskeletons and orthoses, limb prostheses, neural implants, social-emotional prostheses, and cognitive prostheses. Students will learn scientific models of the human body from various fields (e.g., biomechanics, neuroscience, psychology) and how these models are applied to augmentation technology design for persons of both regular and irregular physiology. The course includes the completion of a semester project including a publication-quality paper. Direct any questions to human2.0@mit.edu. Learn more about the Biomechatronics group on their group website.